Our Wandering Family: Child-Friendly Brussels? Far more impressive in person than in photos, standing below the towering steel spheres of the iconic Brussels Atomium was simply mind boggling. Our soon-to-be 3-year-old swore it was a space ship. Our decision to spend a half day in EU's capital city had been made just a few hours earlier, from our Zeeland home -- a mere 75 miles away. 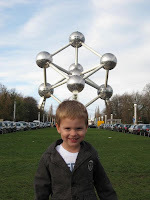 The plan was to visit "Le Musée des enfants", or Children's Museum, in the vibrant city center, but with Lukas asleep, we made a last-minute detour to the world-famous Atomium. Easy to get to, the Atomium is really worth a full day in-and-of itself. There are now guided tours, non-guided tours, loads of exhibits, a panorama of the city, a restaurant, and more. With other things on the game plan, we opted to save all of that for yet another adventure. From the Atoumium it took us about a quarter of an hour to get to The Children's Museum. Although we arrived about an hour and a half before closing time (with the museum closing at 5 PM), we didn't feel terribly rushed as we explored our surroundings (a toddler's attention span doesn't seldom exceeds the 90 minute-mark, anyway). Lukas loved the 3rd story, which includes a fairytale forest, treehouse, and tot-sized street-scene. 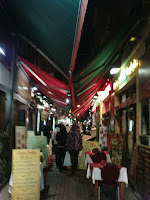 In the evening, we decided to treat ourselves to a tasty dinner in the trendy but beautiful Rue des Bouchers (which I think translates into Avenue of the Artists?). Although our food was good, service was a bit slow, and we couldn't help but laugh about the absurd behavior of the mafia-like maître d's in the streets, who happen to be second to none for their stop-you-in-your-tracks, reel 'em in rudeness. 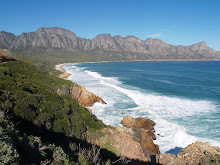 Not sure we need to go back there again, but it certainly remains a must-see in my book. 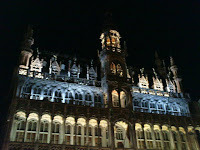 Just next to the Rue des Bouchers is the Grand'Place, Grote Markt, or Market Square at the heart of the old city center. It's one of those old European squares where you just stand and stare, mouth agape. Then, once you've come full circle, you do your best to capture the beauty on camera. Fantastic, and a wonderful family outing for a Sunday afternoon. On the heels of a trip to S. Africa and the U.S.A., you never waste time getting back into the swing of things once you're back home. I aspire to be more like you in that way! Great post, love the photos, and enjoyed the photo gallery from your trip to Florida.